At MV Ortho, we specialise in helping you have a perfectly aligned smile. No matter what your age or concern may be, we’re confident that we’ll be able to assist you in reaching your smile goals. One of the many services we offer is dental surgeries, which can be completed in-house with Dr Alan Trinh. To have a straight smile, it’s necessary to have a healthy relationship between the upper and lower jaws. When harmony exists between the jaws, it allows orthodontic treatment to align the teeth in the most optimal manner possible. If Dr Mun feels that oral surgery is necessary, he will discuss these concerns with you before beginning any type of orthodontic treatment. We will then refer you to Dr Alan, who performs procedures on-site. Correcting jaw alignments can provide our patients with optimal results, less trauma to the jaw joint (temporomandibular joint, or TMJ) and prevent concerns like abnormal tooth wear. If you have a tooth that is stuck, it can be surgically exposed with exposure bonding. Occasionally, this option may be required before you can have further orthodontic treatment. With dental implants, Dr Alan places the titanium implant into the jaw. After the area has healed, a restoration can be placed on the implant such as a bridge, crown or denture to restore your smile. A frenectomy involves removing a muscle between the two front teeth that prevents them from aligning perfectly. By removing the frenum, the space between the teeth can close. 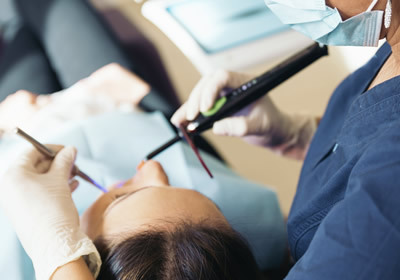 We offer sedation including intravenous sedation from our visiting dental sedation specialist. Contact us today to book your consultation!